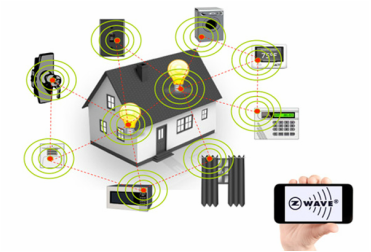 ZWave Home Automation is the most popular mesh network radio protocol on the market. What "mesh network" means is that ZWave devices relay commands to and through each other to form a mesh of communication that helps to eliminate reception issues. When a command is sent to control a ZWave device, the device sending the command expects to receive acknowledgement that the command was successfully received. If no confirmation reply is received then the sending device send the command again through another path in the mesh. This means your commands get through and fast since all of this happens in milliseconds, wirelessly. 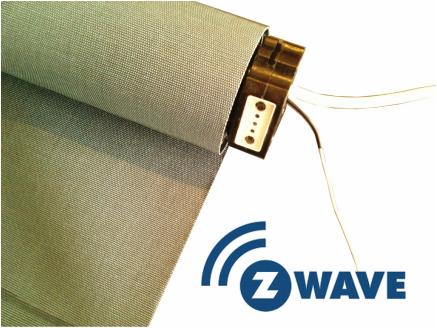 The ultimate solution for ZWave Motorized Shades is a quiet motor that simply plugs into power and speaks ZWave. The advantage of motors with embedded ZWave technology is that you don't have to hide a bulky motor controller or interface near the window. ZWave motors have the intelligence built-in and their internal encoder knows the shade position without needing calibration. 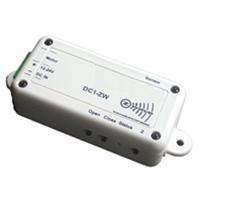 Some interfaces are only bridges and may use ZWave radio up to the interface, but from there the signal is "dumbed-down" to simple single-transmission radio control. This results in the motor not being able to report position or confirm movement back to the control system. To get the most control and capability, you'll need a ZWave shading solution that reports back position and confirms movement. 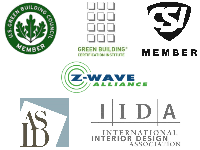 ZWave Motors allow that level of control. 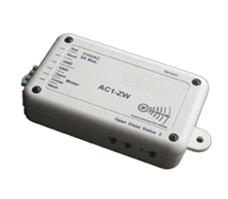 We offer ZWave interfaces for intelligent motors, both AC and DC solutions. For standard 4-Wire motors we offer ZWave relay-based motor controllers for AC or DC switched motors.